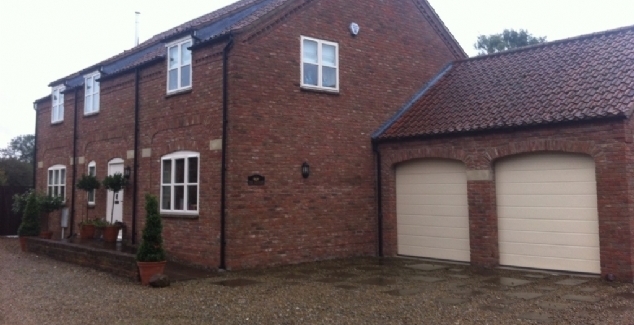 Sectional Garage Doors have grown in popularity in recent years as more families in Bradford look to utilise space in their garage and on their driveway. Sectional Garage doors work by splitting into four different sections when they close, hence the name. Because they do not swing forward, you can get longer cars (of which modern days cars have increased in size) into the garage and you can also park closer on the outside too. Because they do not swing forward as well, sectional garage doors can have seals all the way round. This is great for energy saving and it also offers greater protection and more security than an up and over door for example. For more energy saving benefits, you can have a LPU option which is a double skinned insulated door. The insulation is 42mm in thickness and this is one of only two options available on the current market. The other is the LTE which offers very limited insulation which is beneficial for families who require a sectional garage door but for a great low price. Up until recently, there did use to be an EPU version, which had 21mm of thickness, bridging the gap between the current variations, but this has been discontinued. You must also be aware that depending on the thickness you choose, certain types of garage door finishes are not available, with the LTE currently only available in woodgrain. Despite sectional garage doors only splitting into four sectional, you can give the appearance that your sectional garage door has 8 or even 16 panels. 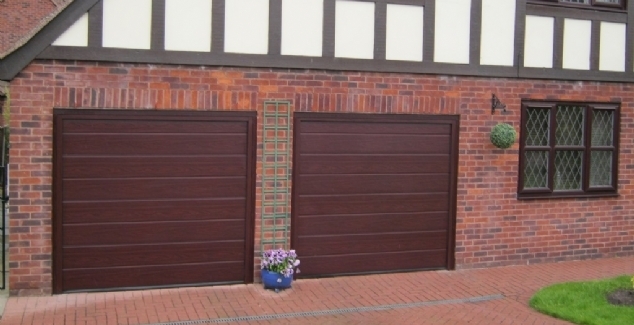 The options of a Large (4), medium (8) and small (16) are all available and can achieve very different looking garage doors. Timber options are also available so make sure you speak to one of our Bradford Garage Door team about your personal requirements. We can even add glazing into your design. Electronic operation is almost always preferred for this option, using one of the latest Hörmann systems, however, if you do not wish to have an electronically operated system that is not a problem. 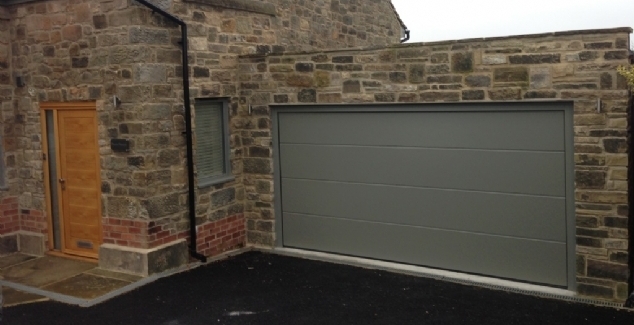 For more information on the range of sectional garage Doors we have for installation at your Bradford home, please do call us today on 01274 352 303.